NSU’s Autism Awareness Fair Day. 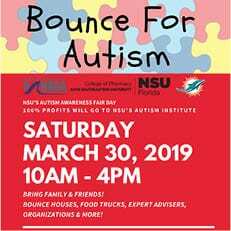 Bounce For Autism is an event in which 100% of all profits will be donated to the Nova Southeastern University’s Autism Institute; including Baudhuin Preschool, Feeding Clinic, Speech Clinic and Research Clinic. The event will take place on March 30, 2019 from 10:00 a.m. – 4:00 p.m. at the Miami Dolphins Training Facility Dome located in Nova Southeastern University. This is a NSU wide and community wide event! 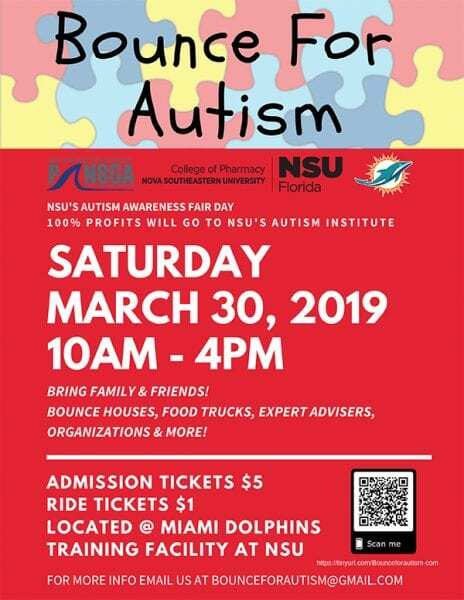 From Miami Dade County up to Palm Beach County., please invite family and friends for this amazing cause that will benefit our community’s Autism Institute. You won’t want to miss out! If you are a club, organization or business that wants to be a part of this event please email Ad1489@mynsu.nova.edu for more details! For pre-sale tickets to avoid making a line, click here! Admission tickets and ride tickets will be sold at the event entrance as well. 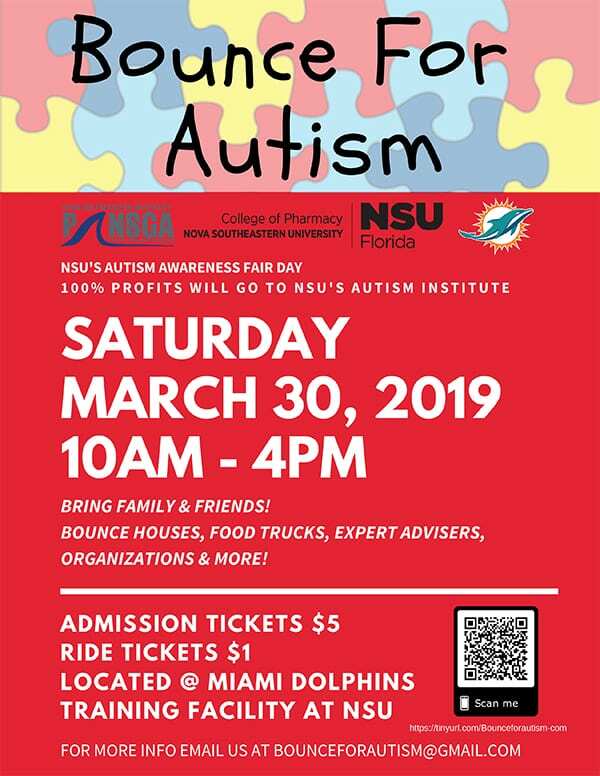 If you can’t make the event but still want to make a difference, please donate through this link and get a NSU Autism Awareness Pin mailed to you for your support! For more information, email BounceForAutism@gmail.com.